Mark Ella, David Campese, Colin Windon and Ken Catchpole have taken their place at the pinnacle of Australian rugby, the giants of the game inducted as Inside Rugby's first Invincibles at a ceremony in Sydney. Windon played 20 Tests between 1946 and 1952, and the centre turned backrower famously scored a try in each of three Tests against the Maoris and then two against New Zealand in 1949. He was named by New Zealand Rugby Almanac as one of the world's top five players in 1946, and he remained Australia's leading Test try-scorer, with 11, for more than 30 years until his record was claimed by Brendan Moon in the 1980s. Still, no Wallabies backrower has matched his try-scoring feats in Test rugby. In 1999, he was named in Australian rugby's team of the century; and in 2005 he was honoured as one of the inaugural five inductees into the Australian Rugby Union (ARU) Hall of Fame. Catchpole played 27 Tests between 1961 and 1968, and he was recognised as the best scrum-half in the world for his lightning fast pass and brilliant speed off the mark until long after his career was ended in infamous fashion by New Zealand's Colin Meads. Like Windon, he was one of the five inaugural inductees into the ARU Hall of Fame. 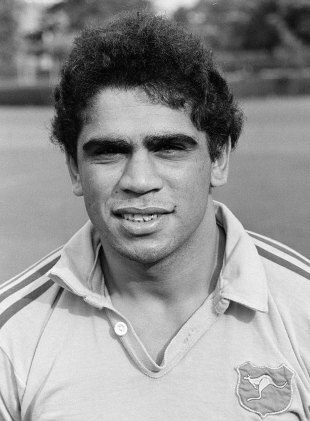 Ella played 25 Tests between 1980 and 1984, remembered for his mercurial genius and for scoring a try in each Test of the 1984 Grand Slam tour before retiring aged just 25. He is still considered among the best fly-halves to play the game, with many players - team-mates and opponents - describing him as the best player they ever saw. 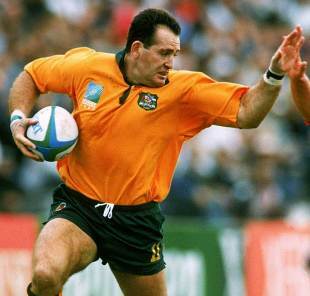 Campese, the star of Australia's Rugby World Cup 1991 win, played 101 Tests over 15 seasons from 1982 to 1996, scoring 64 tries. A team-mate of Ella on the 1984 Grand Slam tour, in 2007 Campese was honoured in the third set of inductees into the ARU Hall of Fame but his enduring legacy remains the way he changed the thinking about how a winger should play the game. "The Invincibles has created a grand new benchmark for the game and we are delighted to induct four absolute legends of our game," Inside Rugby editor Mark Cashman said. Inside Rugby will add two more Wallabies legends to this amazing quartet in 2014, when a gala function in Sydney will also celebrate the 30th anniversary of the 1984 Grand Slam Wallabies. The organisers hope the award becomes as recognised as rugby league's Immortals, awarded by Inside Rugby's sister publication, Rugby League Week. This year a select band of judges came together to nominate four players as the best of the best over the past 67 years - since the first post-war season of 1946. The award is limited to players who have been retired from the game for at least five years, but it is open to all players since the war, and will remain so whenever additions are made. The awards will generally honour Wallabies who were of World XV standard at the high point of their time. First four Invincibles are described as "phenomenal"